Structure & Operations – PDES, Inc.
PDES, Inc. is a collaborative organization that brings industry leaders and experts from its participant companies together. 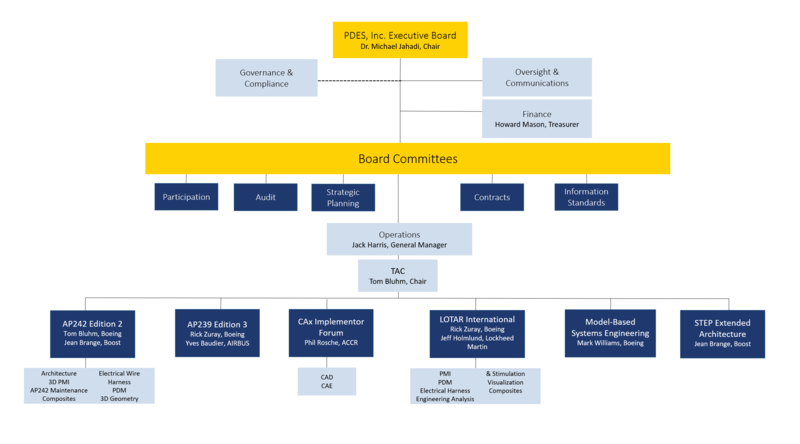 Representatives from each participating company sit on the PDES, Inc. Board of Directors. The Board oversees and approves all project work and strategic plans. Sub-committees are organized to manage the details of specific areas. The General Manager (GM) oversees organizational operations, serves as a liaison to external organizations, and ensures that the Technical Teams adhere to strategic and technical goals. Technical managers from each participating organization serve on the Technical Advisory Committee (TAC), serving as advisors to the Board and overseeing the technical direction of the organization. As needed, the managers form work groups to investigate specific technical issues, reporting back to the GM and TAC. The TAC meets face-to-face twice a year and participates in monthly calls to review project status and discuss technical terms and issues for the consortium. The PDES Inc. Management Team (PMT) is comprised of the team leaders, the General Manager, and the TAC. The PMT holds monthly conference calls to perform the work of the TAC and to update team leaders and the GM on project progress and technical issues. Team members use a centralized file-sharing site to store meeting materials, action item lists, status updates, and other publications. 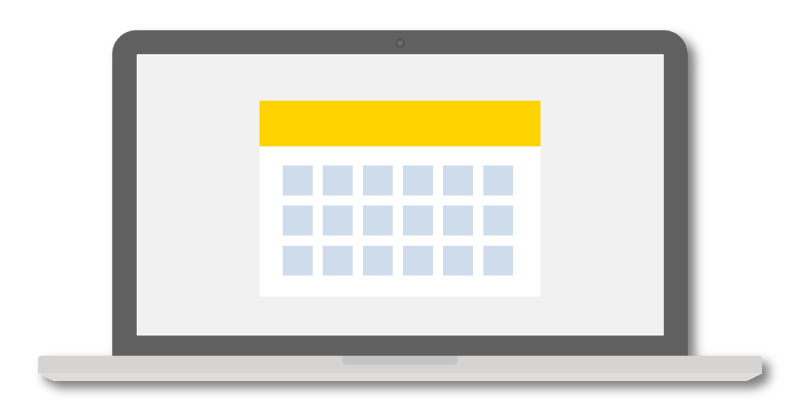 Both virtual and in-person recurring meetings are used to coordinate operational activities and enable management to make informed decisions. The TAC chairperson is responsible for the development of the Technical Management Plan (TMP). The TMP sets the direction for the organization, and is reviewed by the Board on a two-year cycle. Company representatives serving on the Technical Advisory Committee develop project proposals that are reviewed by the Project Management Team and then presented to the Board. The Board then reviews and prioritizes projects. Projects with sufficient resource commitments are then added to the TMP. At PDES Inc., our participant companies work together to promote develop data standards and stay on the cutting edge of tech standards for the Digital Enterprise.